Ferrari boss Maurizio Arrivabene insists that Kimi Raikkonen can deliver this season, but the Finn has to feel that he has the full support of the team. After being overshadowed by Fernando Alonso last year, Raikkonen has Sebastian Vettel as his new teammate, but the German has so far outqualified him in all three races. Vettel has also scored three podiums, including a victory in Malaysia. The Finn finished fourth in China after passing both Williams drivers on the first lap, and he was running close behind Vettel when the safety car emerged at the end of the race. “They have different characters,” Arrivabene said of his drivers. “Seb is a kind of strong guy, very committed, etc. 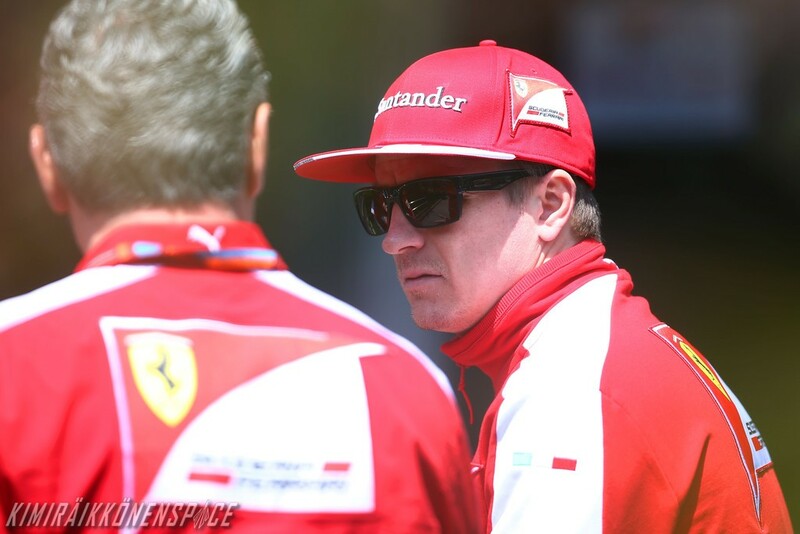 “Kimi, he needs to feel the support of the team around him, and especially the team principal. “But Kimi likes this kind of relationship, when you talk with him straight into the face. He’s called Iceman, but actually apart from this image of Iceman he’s a guy who is very sensitive. “If he feels that the team is around him and is pushing for him as it’s pushing for Seb, then Kimi can give us very good results and perfect performances. “The race in Malaysia, I mean we were jumping like kangaroos – even if it was Malaysia not Australia – for the victory, but actually if you look back and look at the race of Kimi it was wonderful. Sensitive? That just a gentlemanly way of saying that Kimi is futile.